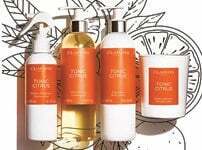 This great value Luxury Size gives you a customer saving of £14.50. Rated 5 out of 5 by Rosebud from Amazing My skin has been problematic my whole life due to anorexia and hormones. I’ve always scrubbed and used very harsh products stripping the skin and causing breakouts to be much more aggravated. I used the clarins foaming cleanser many years ago and didn’t get on with it but was terrified to try anything like a milk or cream cleanser in case it made matters worse. Over the last ten or so years I’ve used the milk cleanser to remove heavy make up and followed with something containing salicylic acid then a retinol but again found it was making my skin sore. 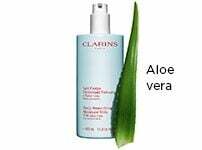 I was fed up and thought I’ve got nothing to lose I’m going to use clarins milk as my cleanser and see what happens. To my amazement my skin has felt clearer and softer and is no longer sensitive! Please never discontinue this product, it is amazing and I’m over the moon to say I finally don’t feel ashamed by my skin anymore! Rated 5 out of 5 by Jaguar from Really love this. Love this cleanser. Only problem I have found, or not as the case may be, is the lack of instructions for correct usage. It says on the label that they are online... not found yet!!! Rated 5 out of 5 by Suzy from A lifetime friend I am 63 and have used Clarins for most of my married life (40 years). Clarins cleansing milk and toner is a twice daily routine for me. I love the texture and feel of the cream when I cleanse. 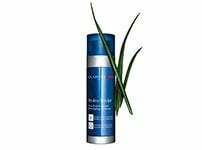 The toner gives a brightness to the skin after cleansing. 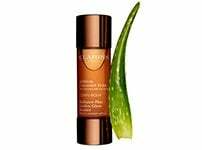 I wouldn't use anything else but Clarins. I buy the 400ml now because I find it better value and it lasts for ages.